PSUT is located near the town of Jubaiha, about 11 km from the centre of Amman city which is easily accessible by car or taxi. 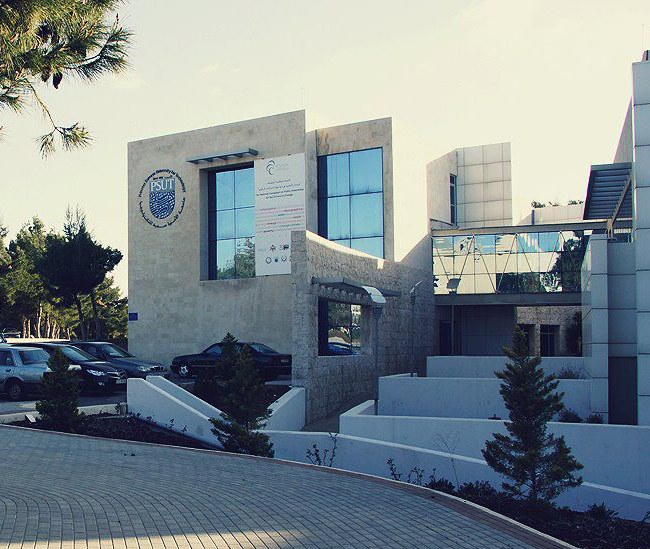 The PSUT campus is strategically positioned in a "scientific matrix", which also comprises the Ministry of Higher Education and Scientific Research, the Royal Scientific Society, the Higher Council for Science and Technology, the University of Jordan, and the Royal Geographic Centre, forming the nucleus of a national Science Park. PSUT is the academic arm of the Royal Scientific Society. The official hotel of the conference is the Marriott hotel in Amman. This renowned 5-star hotel is located in one of the capital's busiest centers, Shmeissani, with easy access to all historical sites and points of interest and a short distance of 30 minutes from Queen Alia International Airport. Visiting Amman allows one to experience ancient history and culture alongside the modern amenities of Jordan’s capital city. Walking along the age-old streets of Amman, allows guests to experience Roman history, taste delicious Middle Eastern cuisine, and shop at the many street vendors and large city malls; the central downtown area, Balad, features various traditional outdoor markets, or souqs, shops, and local restaurants.